Hi everyone, welcome to english-learning.net. I hope you’re well today. In this lesson, we are going to learn some cool ways to express what we like. 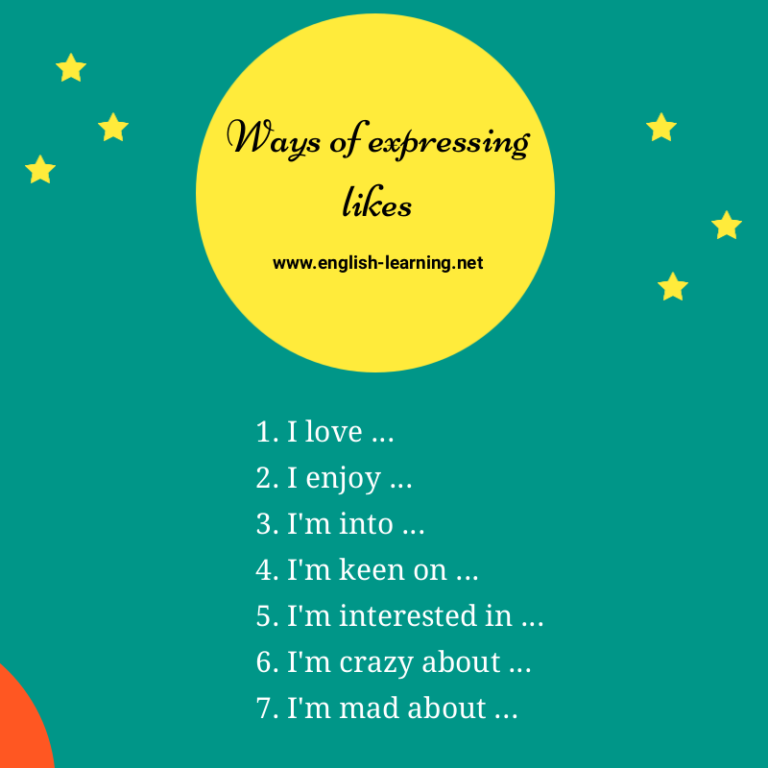 Instead of using the classic, boring “I like ..” expression, we could make a greater impression with the following phrases. I enjoy watching Youtube videos. I’m really into shopping for shoes. I’m keen on making things with paper. I’m keen on playing chess. I’m interested in software programming. I’m mad about Latin music.